The types of skills required to care for and advocate for oneself and others — self-regulation, responsibility, empathy, and discipline, among others — are becoming increasingly central to the work of schools and teachers, and increasingly relevant to the lifelong success of students. More and more, educators are recognizing that these skills — often called “social and emotional” skills — are inextricably intertwined with the academic skills. Nine out of 10 teachers believe that social emotional skills can and should be taught. But four out of five want more support to address their students’ social emotional development. How do teachers catch up their practices with what they know is possible? A new report from the Aspen Institute’s National Commission on Social, Emotional, and Academic Development draws on a large volume of research on social-emotional learning, three new research reports written over the last two years, as well as surveys with parents, students, and teachers — all generating new recommendations for teaching the whole child and for supporting the academic, social, and emotional wellbeing of students. It will take significant system-wide and school-wide changes to make sure every child gets this kind of holistic education; teachers cannot do that work alone. But with the following considerations and actions, teachers can begin to break the silos that stuff social-emotional learning into a specific unit or class, and instead embed it throughout the day. Be intentional. Social and emotional skills come up all the time — at recess, in group work, in math class. Be intentional about identifying opportunities to practice the skills with your students. Role play conflicts that might arise on the playground or talk to students about listening and collaboration before group work. Before math class, talk about “mathematical courage,” or the idea that students should ask questions when they don’t understand something, be unafraid to make mistakes, explain their thinking, listen to how other people thought about a problem, and be open to suggestions. Don't worry about taking time away from academic material. Taking time to focus on how students interact with each other, how they're feeling, and how they're behaving, will help create conditions conducive for overcoming academic challenges. Being more intentional and taking the time to name and practice these skills, can help them stick. Create a warm classroom culture. Students learn best when they feel safe and cared for. Let each student know that you respect and care for her as an individual. Provide leadership opportunities for students, and show them that you trust them, too, but letting them lead parent conferences and letting them make their own decisions, when appropriate, about how to spend their time and pursue their interests. Focus on relationships. Meaningful relationships — both between students and adults, and between students and other students — help improve attitudes and achievement. To the extent that you can, create structures that facilitate the formation of long-term relationships, like identifying mentors for students or holding class meetings. On a school-wide basis, having teachers follow students to the next grade level or creating advisories, in which the same teacher mentors the same group of students over several years, can create the type of relationships that make students feel cared for and help them to learn to care for others. 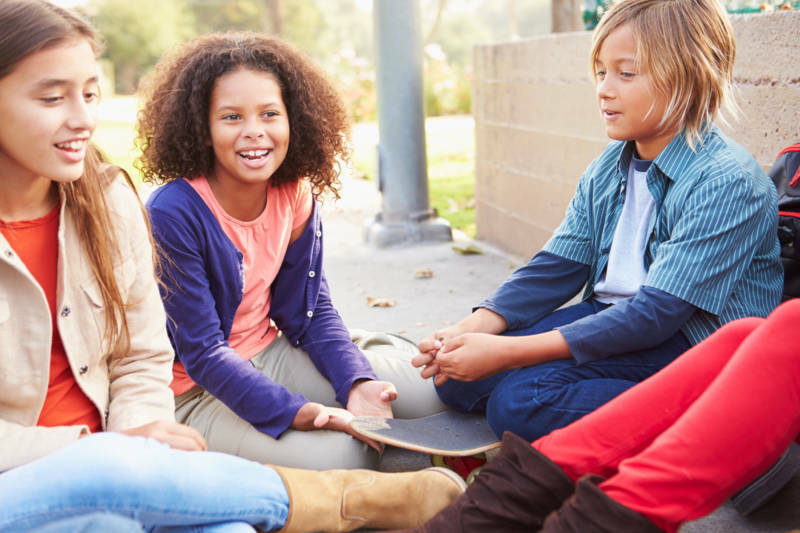 These smaller group settings also are perfect opportunities to intentionally teach social-emotional skills, like listening and expressing feelings through words. Make discipline more inclusive. Discipline, too, can be more focused on healing relationships than punishment. When a child misbehaves, frame it as a poor choice — not evidence that he is a bad kid. Discuss behavior with students by working with them to set classroom norms and having regular meetings about how those norms are working. Help students resolve conflict with one another; there's much more to be learned from conflict resolution than a suspension. Broaden your definition of student success. Broadening the definition of student success is ultimately a community-wide goal, but even in your classroom, you can emphasize to students that test scores aren’t the only things that matter. Recognize and celebrate when students are persistent in the faces of challenges, when they are caring to their peers, and when they are good listeners. By emphasizing social emotional development, students have a clearer idea of what to work toward and why it’s important. Advocate for change on the school and system level. The best social emotional instruction is borne out of collaboration. Advocate to your principal and school board for social-emotional training. Convene meetings with other personnel in the school so you can talk about students’ needs, and make sure that no student is falling through the cracks. Ask for the time and resources you need to emphasize social emotional learning classroom, and help students develop all the skills they need to succeed.